Do you need your garbage disposal repaired or replaced in your Garden Grove home? Call us today at (949) 371-8413 for all of repair, maintenance and installation needs. Garbage disposals are often not appreciated until they stop working properly. When serious issues like clogging and mechanical breakdown occur, it is necessary to call a plumbing contractor. Trust our Garden Grove garbage disposal repair experts to get your disposal system working right! Our skilled technicians will arrive at your home as scheduled and will review the situation with your disposal & make any recommendations on repairs. In some cases it may be more cost-effective to replace an old unit with a brand new unit, rather than trying to come up with older parts that are expensive and hard to find. 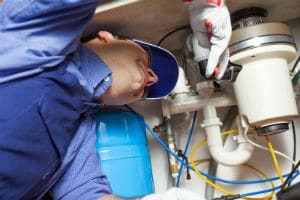 We pride ourselves on providing the quality of garbage disposal repair Garden Grove residents will be extremely satisfied with and recommend to their friends needing a good plumber. Put our 15+ years of Garden Grove garbage disposal installation experience to the test and call us at (949) 371-8413 to schedule an appointment today. Situated in northern Orange County, Garden Grove is home to more than 170,000 people and it was originally founded in 1874. One of the most popular activities that residents and visitors engage in is taking a trip along Historic Main Street. Here, there are several antique stores, period buildings and other stores selling a wealth of vintage memorabilia. If you’d like to take a trip back in time, the ideal place to start will be at the Stanley Ranch Museum and Historical Village. Although you will need to book a tour in advance, getting to see the artifacts from years gone by will invoke a sense of nostalgia, while kids will be able to see how things were ‘back in the day.’ Other popular attractions in the neighborhood include the Crystal Cathedral, the Atlantis Play Center, the Festival Amphitheater, Garden Grove Park and Cistra USA Gifts and Crafts.